In 2011, Butler University made history as the first team to make it to two consecutive finals of the NCAA basketball tournament without being seeded #1 or #2. As the smallest school to play in the championship game in the 40-year history of the tournament, Butler became the quintessential "Cinderella" team.How did this little-known Midwest university achieve what few schools have ever done by making it to the final championship game two years in a row. Much of the attention is focused on head coach and team leader Brad Stevens, who was only 33 years old at the time of the 2010 tournament. 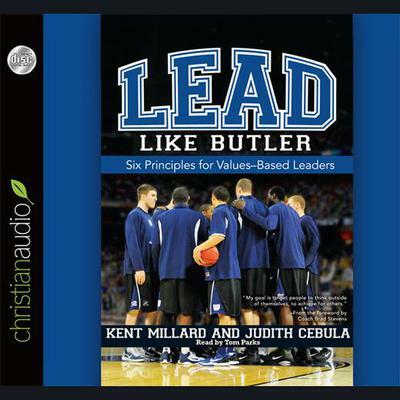 Often mistaken for one of the players, Stevens coaches according to a set of six values-based principles broadly known as the Butler Way - Humility, Passion, Unity, Service, Thankfulness, and Accountability.Through interviews with coaches, players, and alumni, M. Kent Millard explores the six leadership values taught by the entire coaching staff at Butler University. Each chapter of the book helps readers discover how these values form a solid foundation for pastors and other church leaders and anyone striving for success in life's journey.